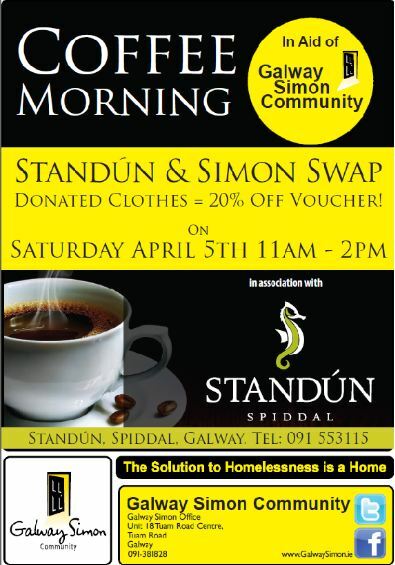 This April Standún Spiddal have teamed up with the Galway Simon Community to help raise awareness and funding for homeless people in Galway. For the month of April, they are encouraging people to donate any unwanted or unused clothes. Standún are kicking things off by hosting a coffee morning on Saturday April 5th between 11am and 2pm in aid of the Galway Simon Community at their store. All are welcome and everyone is encouraged to donate. Standún are encouraging people to donate a bag of unwanted clothes to this worthy charity this April. For every bag donated directly to the charity, the Galway Simon Community will be offering a free tea or coffee with a delicious cake in the café at Standun. For every item of clothing donated directly to Standún Spiddal they will receive a 20% voucher off all non-reduced items in-store. The Second Edition of Traidphicnic festival, celebrating Irish music, culture, and traditions, takes place in An Spidéal on Friday July 5 and Saturday 6. 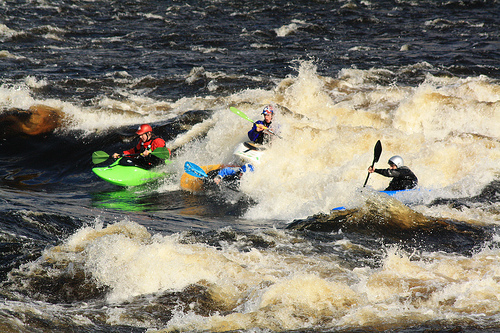 The festival, which is run bi-lingually and is part of The Gathering 2013, will be officially opened by Charlie Lennon at 2pm on July 5 outside Studio Cuan. Workshops takes place from 10.30am to 1.30pm with registration at Studio Cuan from 10 am. The cost is €15 but family discounts apply. 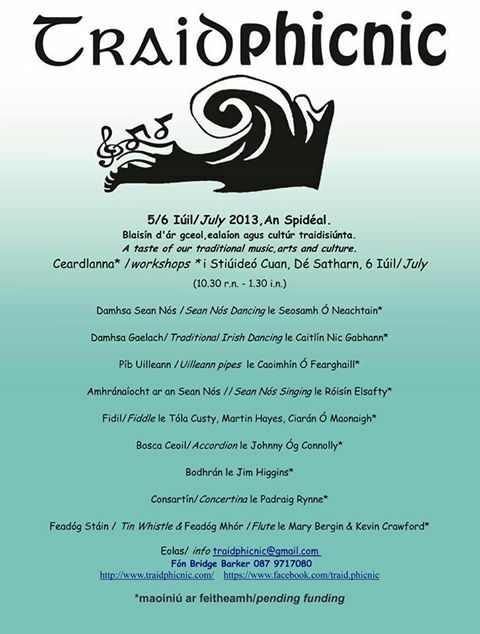 For non-trad enthusiasts, there will be a variety of events around the Spiddal Craft Village, Studio Cuan, and the library on the Friday and Saturday. 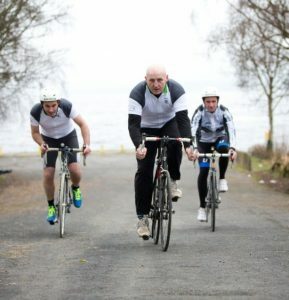 Remember that, if you don’t have a car and think (like me) that cycling there is not possible (17 km only, I know!) you can take Bus Eireann number 424.